Welcome to week #7 of The Yuck Stops Here link party! I am very much enjoying hosting and I hope you are enjoying partying with us! I hope all you mothers out there had a wonderful day yesterday and enjoyed time sharing good food with family! Please remember that this is a RECIPES only party, recipe tips are welcome, but crafts, etc. belong somewhere else (not that we don't LOVE them, we're just sticking to recipes here)! We're still looking for a few good hosts! Hosting brings traffic to your blog, gives you exposure, gives you an opportunity to meet new bloggy friends and improve your social status and gives you tons of great recipes as resources for things like roundups! If you would be interested in joining us in our effort to Stop the YUCK everywhere, hop over to our The Yuck Stops Here Hosting Info page for more information. Each week, each of our awesome Co-Hosts will pick a special feature, so please visit each of their sites to see who’s recipe made the cut! We will also feature the MOST CLICKED post. ALL of the featured posts will be pinned, tweeted and shared on all of our social media sites. All links will be pinned to my The Yuck Stops Here Pinterest Page so please feel free to visit. Every link will be tweeted or shared by at least one of the co-hosts! Link up your delicious recipe posts! Don't Re-link (if you've linked it here before, don't link it here again). Link directly to the recipe post, not to your home page. Include ONLY family friendly links. As a courtesy to others, visit other posts (I usually visit at least 3) and leave a comment if you are so inclined. MEET YOUR HOSTS! Please follow each host via at least ONE social media platform, and visit each host's website to check out their features for the week! We had a TIE for most clicked this week! Both of them look absolutely delicous & before I knew which posts were the most clicked, I was looking at them both as possible favorites! Grilled Eggplant Parmesan from BeBetsy - I adore eggplant parm, and this looks so delicious and sounds like a great twist to the usual recipe! And a bonus for me is that this is another meal my WHOLE family can enjoy! My featured recipe for the week comes to us from Recipes and Ramblins with The Tumbleweed Contessa. 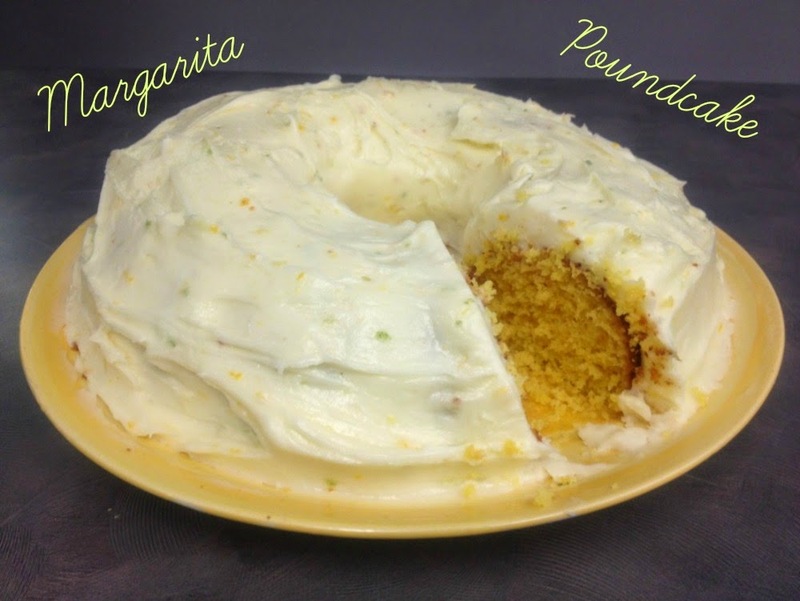 The Contessa shared her Margarita Poundcake with us! Isn't it gorgeous and mouthwatering! It is such a unique cake with some incredible flavors! Stop by and see her great recipes like Pulled Pork Sandwich w/ jicama and radish slaw and her Edible Party Bowl! If you were featured, grab an "I've Been Featured" button to show how awesome you are! And remember, each co-host chooses her favorites, so click over to the other co-hosts to check out their favorites for this week! If you want to be featured you MUST link back to our party in some way. To do so grab our link button (mine can be found in my sidebar) or simply include a link back to our party in your post. Here is a tutorial on how to do that. By linking up you are giving the host and co-hosts permission to use your link for social media and other promotion such as round-ups. We will try to notify you any time we plan to use your link.